In the spirit of our founder, Father Patrick Peyton, CSC, and under the sponsorship of the Congregation of Holy Cross, Holy Cross Family Ministries serves Jesus Christ and his Church in India by promoting and supporting the spiritual well-being of the family. Its focus of attention implies a holistic approach to the various services that can be rendered to the family, while giving special emphasis to spiritual growth, family prayer and especially the Rosary. The goal of these ministries is to promote harmony and unity in the family, on the basis of Gospel values. To promote prayer in the family, especially the reading of the Word of God and the Rosary prayer. To conduct courses, retreats, psycho-spiritual counseling for young people preparing for marriage, and for married couples. To conduct faith formation programs and retreats for children, the youth and adults. Holy Cross Family Ministries extends its services primarily to the families in the areas where Holy Cross personnel (Priests, Brothers, Sisters) minister. It is under the administrative supervision of the Province of South India. The members of the three Societies work in close collaboration to foster its mission. These ministries are carried out in the multi-cultural context of India and are adapted to the specific needs of every linguistic region. We extend our programs and activities to parishes and to educational institutions, both public and private. The animation of these ministries is entrusted to a team of Holy Cross personnel. We make use of the media of social communication to achieve our goal. 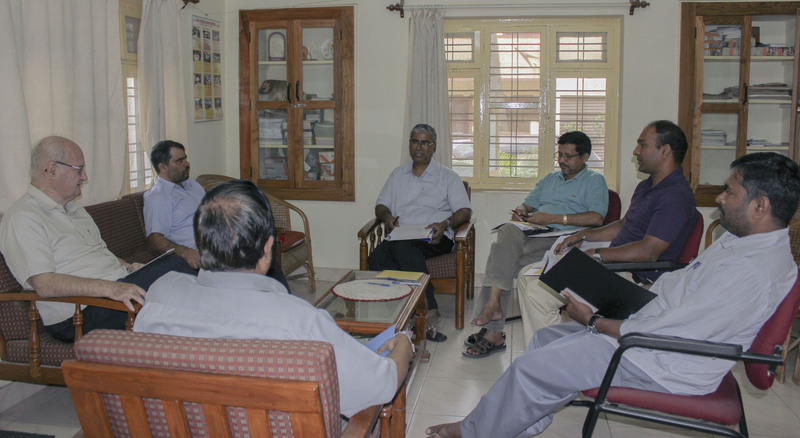 We seek to collaborate and network with other organized apostolates in India that pursue similar goals and objectives, as well as with Diocesan/National Family Commissions. A team consisting of Holy Cross priest/s, brother/s, sister/s and some married couple/s will be made available also to the dioceses which promote family apostolates. The members of this team are to be properly prepared to carry out this apostolate. In certain dioceses, these ministries are carried out with the help of local catechists.